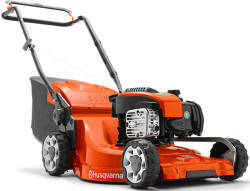 Husqvarna lawnmowers are a cut above the rest. 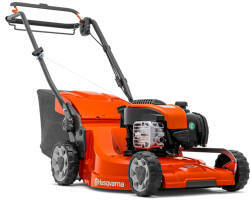 Husqvarna have designed a reliable and dependable range of lawnmowers ideally suited for our irish lawns. 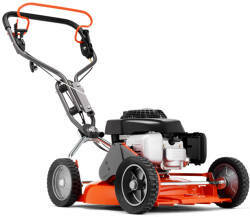 Their range includes a comprehensive line up of petrol powered lawnmowers featuring Honda, Briggs and Stratton and Kawasaki engines. Husqvarna also have a line of battery powered lawnmowers for sale. 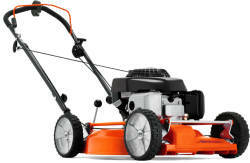 Including a 16 inch push model, 16 inch self propelled model and a 19 inch push model. 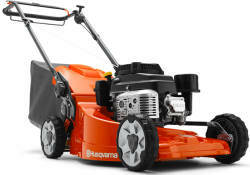 Husqvarna lawnmowers feature steel, aluminium and composite cutting decks, making them a great choice for us in Ireland. 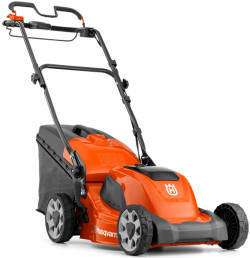 We can deliver your brand new Husqvarna lawnmower to any county in Ireland for just £30 extra. Call us today to order yours! 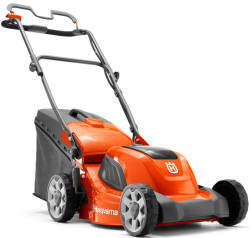 Husqvarna Petrol lawnmowers for sale in Northern Ireland from AM Rentals offers irish customers the best value in Ireland on petrol lawnmowers and battery mowers. 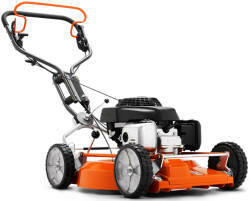 The Husqvarna range of lawnmowers covers both battery powered models and petrol powered models. 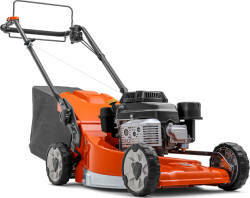 Their range covers all different sizes of lawnmower from 16" cutting decks right up to 21" cutting decks with all types of deck covered from steel, aluminium and composit decks. 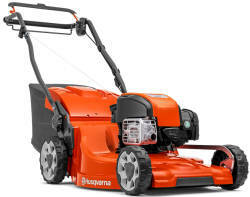 Husqvarna have a lawnmower to suit all gardens from the small LC140S to the large professional machines like the LC551SP powered by a Kawasaki engine fitted with an oil pump. 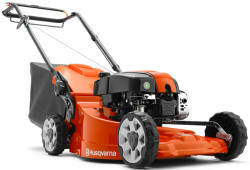 Husqvarna also do a line of mulching only professional lawnmowers suited for large gardens and professional contractors. 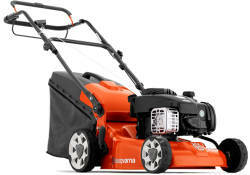 We can deliver your brand new Husqvarna lawnmower to anywhere in Ireland for just £30 extra. Call today!